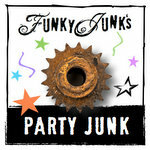 If you’ve been tuning into Funky Junk the last few weeks, we’ve been hosting a Heap of Change challenge, where purging and organizing has been the name of the game. That led me to this weekend’s theme of upcycled organizing and storage. This right here is every junker’s dream storage. 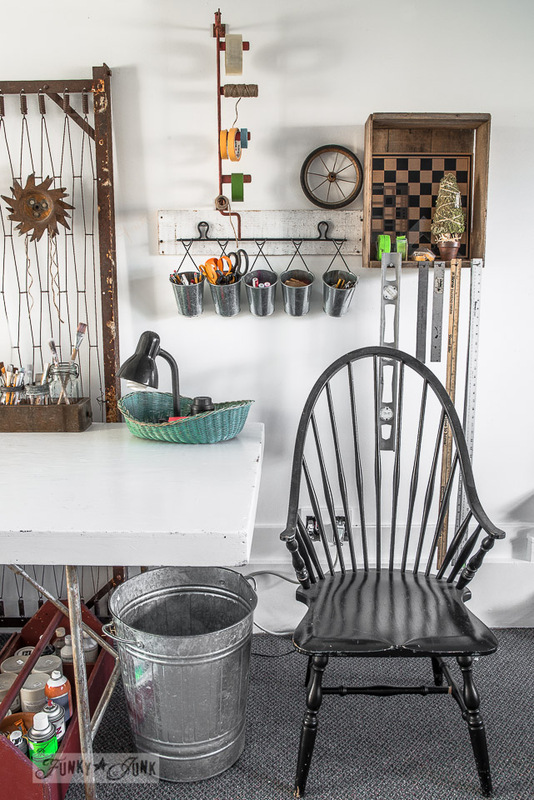 Storing junk inside junk… total style and function all in one. In 4 layers even! Don’t you adore the patina? Have you ever seen a junk drawer so gorgeous? 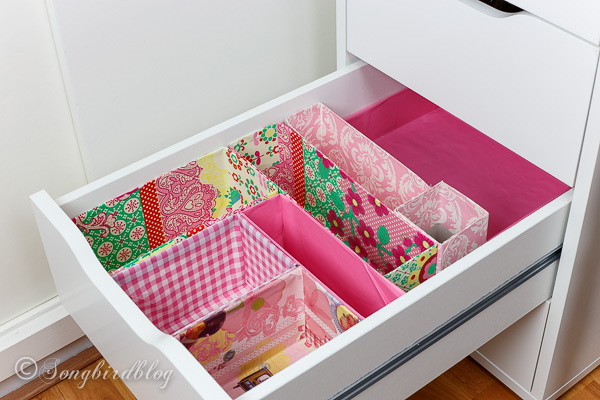 Trust me when I say you already have everything you need to make this drawer organizer in your own home right now! Put up your hand if hunting for thread drives you crazy… me too. That’s why this idea is genius! A chunk of pallet is perfect for this coat rack. Don’t you love a build that’s kinda already built for you? I have no idea what this red contraption really is, but it reminds me of the game Mouse Trap. 🙂 And is perfect for storing tape and twine. 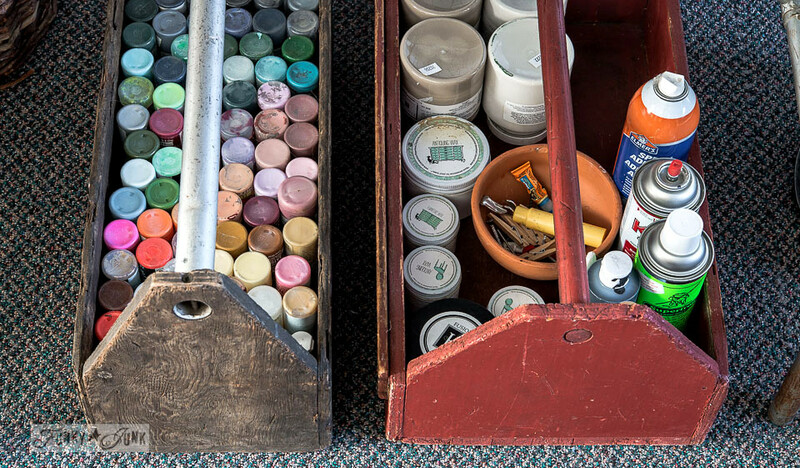 Why yes, I do store craft paint upside down in a toolbox. Right side up in some cases too! Makes for super easy transporting around the house, and easy to see your colours. 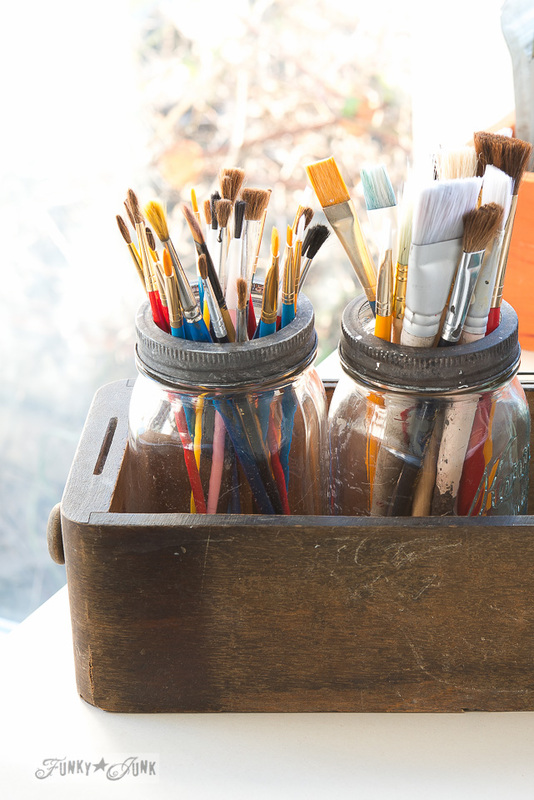 Mason jars inside drawers make paintbrush sorting a breeze! 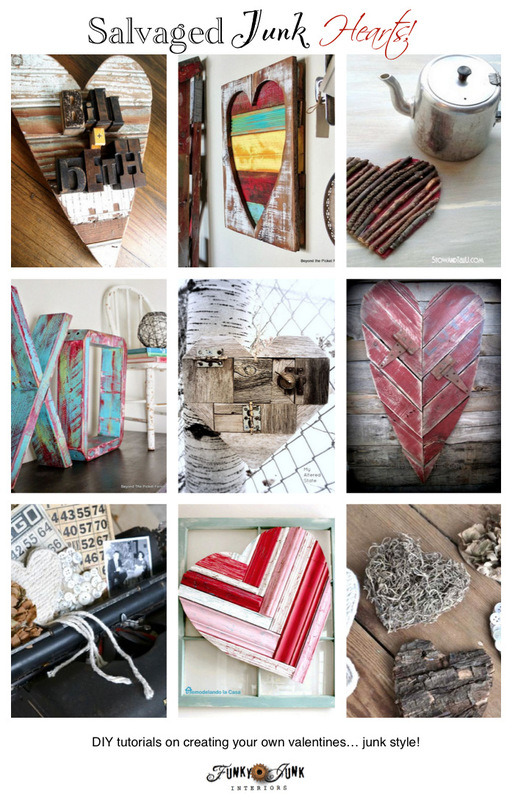 Click the link for more upcycled ideas in my own paint studio. Teamed up with storage cabinet cubbies and mason jars, this lowly pallet became a pretty decadent tool shelf for my workshop! Awesome project for the non builder types especially. 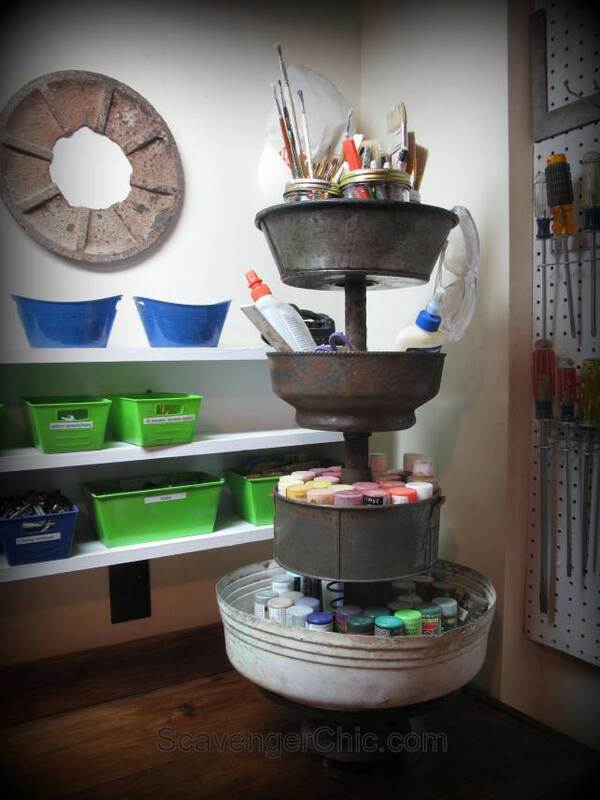 Ready to show your own upcycled storage and organizing ideas or otherwise? Link up in the appropriate areas below! 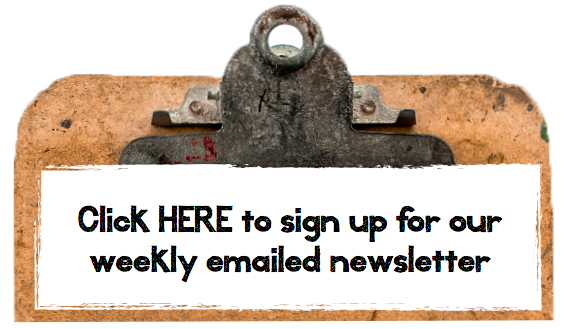 You are invited to share your repurposed projects on my Facebook page HERE. 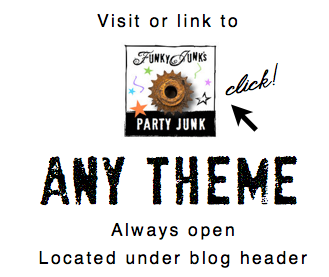 Watch for the party prompt, and go for it! Last weekend, I visited some of the projects linked up and was inspired to makeover my bench that had been in the shed for way too long. Thanks for hosting an inspirational party! 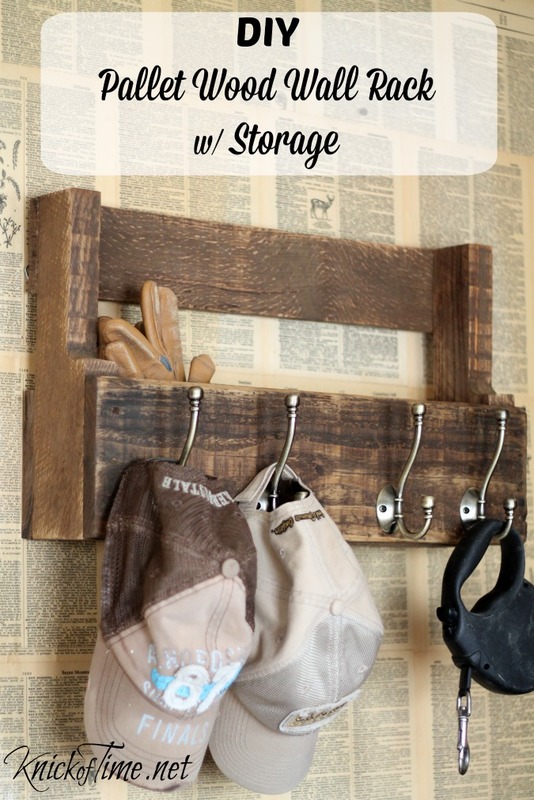 Thanks so much for hosting, and featuring my pallet wood wall hooks storage rack, Donna! So many incredible ideas! Thanks so much for the party every week Donna. 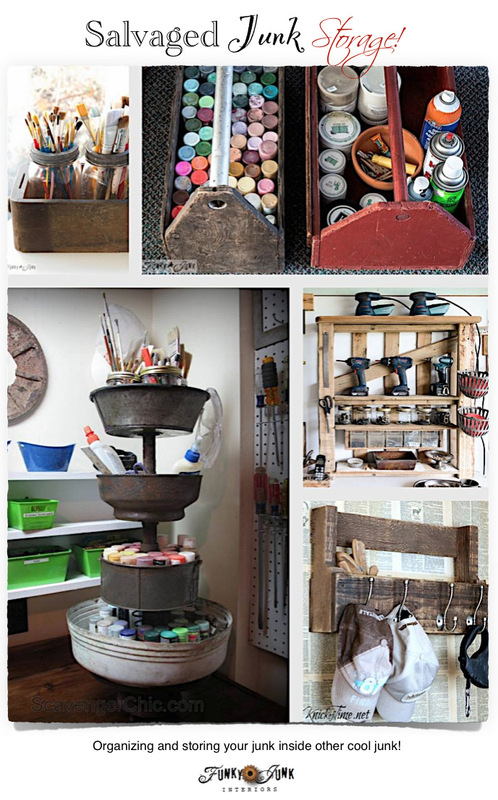 So many great upcycled storage and organizing ideas, got to save for future reference! Thanks for hosting us once again! I’m stunned and speechless at such talent!!! you guys are amazing! keep it coming! all I need to do is find a good junk store or a good dumpster and learn to use some TOOLS! 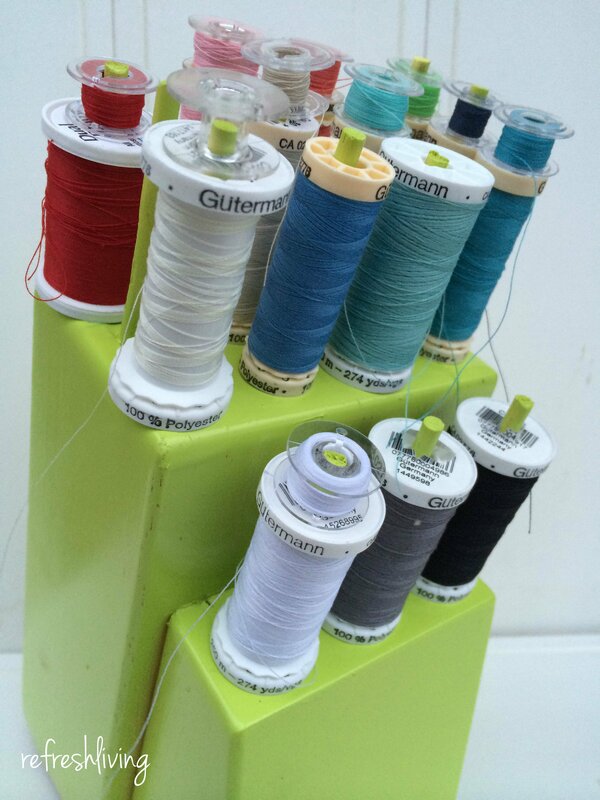 Donna, thanks for featuring my knife block to thread holder! 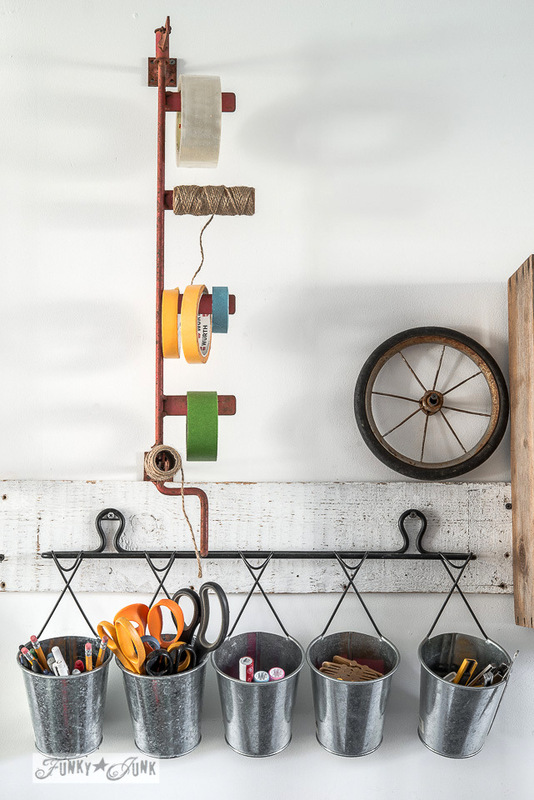 I love all of these funky organization ideas – my wheels are turning. Thanks for the inspirational ideas! Yes, yes, yes! I’m an organization junkie AND a vintage junkie – combine them? Even better! 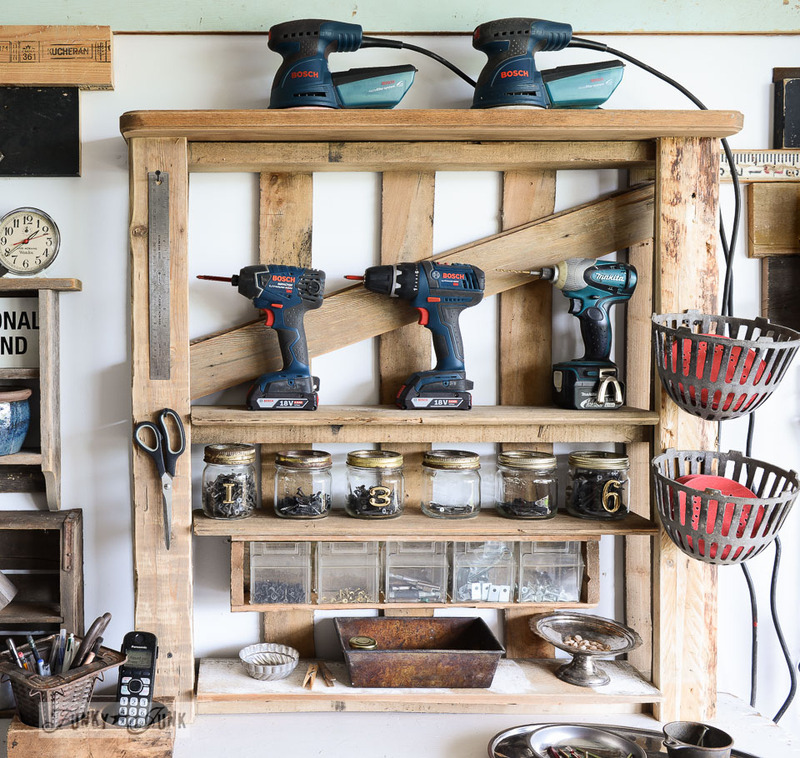 Pallet tool storage is a fantastic idea. My husband will love it. I am going to show him your article! Thank you for sharing such an useful information! He will use it in the garage. Greets!